Happy Friday! I hope you all are ready for the weekend. My friend Ije is coming to spend the weekend with me. So, we're making it a girls weekend. Yippie! Anyway, today I thought to share with you a few tips that have helped me make every life changing decision I have made. One of the toughest aspects of growing up is having to make decisions on your own. We grow up counting down to when we'll be able to finally make our decisions, when we want. But now we're finally here, we realize that its not so easy after all. My mom always tells the story of a conversation I had with her when I was about 5 years old. That day, she and my dad were relaxing in the parlor at night time. They had just been served dinner and my mom was enjoying a glass of Baileys Irish Cream with hers. I remember wishing I could just taste it but knowing the answer will be no, I didn't bother asking. Instead, after sitting in the corner staring at her for a couple of minutes, I said, "Mommy you're so lucky". She said "How so, baby?" I said "Because you get to eat and drink what you want, go where you want, and do what you want to do. I can't wait till I can do that too". Needless to say, my parents had a good laugh at my expense that evening. Now that time is here and its not as much fun as I thought it'd be. 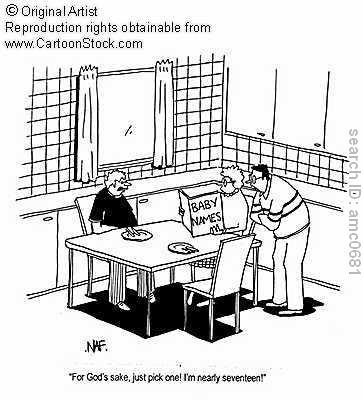 I, like most of us young adults, are having to make decisions about our life path. These "difficult" decisions range from further education, to choice of a life partner, to where to live, as well as career decisions. And knowing that every decision we make will have a consequence is the scariest part. But to accelerate, you have to make tough decisions, most of which are not soo safe-proof. So if or/and when you struggle with making any kind of decision, maybe these tips I use will help you in some way. 1.) Pray about it- There's nothing too big or too little to say a prayer about. I pray about the littlest things because I know God wants to guide every detail in my life. After I graduated law school and passed the bar, I got accepted to pursue a Masters of Law degree while my mates went on to start making the lawyer money. I was not sure whether to go back to school or whether to take a break. At the time, it seemed like such a hefty decision because I had to decide whether pursuing another degree was a waste of my time and money. I had to pray about it and wait for signs pointing me in the right direction. 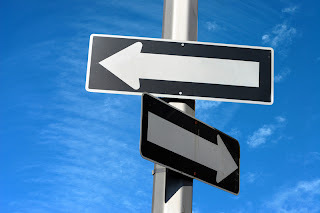 The thing about praying before making a decision is that even if you never see a apparent sign pointing in either direction, prayer gives a sense of confidence knowing that, if you pay attention closely to your pure instincts void of any selfish human desires you have, God won't let you make the wrong decision. 2.) 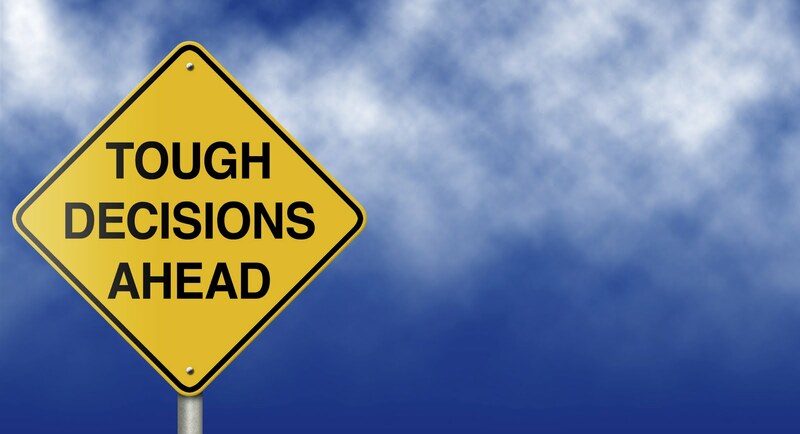 Take the time to weigh your options- Sometimes when decisions need to be made, we either procrastinate or make them in a haste. I'm guilty of making hasty decisions. *covers face* That's because I hate being in limbo about anything. To me, its either its black or its white and it has to be colored immediately! Yea, that doesn't always work... I've been learning recently that not all decisions have to be made immediately. If you can afford to, take your time and decipher the options. In fact, set quiet time aside to relax and write down on a piece of paper, the pros and cons of each decision. This will help you make a better decision. For me, I'm more relaxed just before bed when I'm listening to Pandora (90s R & B). That's when I make majority of my difficult decisions....and it helps. - Which option is better in the long run? -What are the consequences of each option? -Which one makes the most sense, logically? -Which will make me happier? 3.) 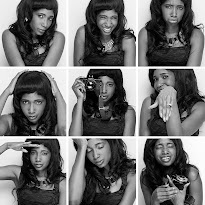 Get another opinion- Like my older sister Oby always says, "no man is an island". While your life decisions primarily affect you, in some ways, it will also affect that of your close loved ones. In order to make a sound decision, sometimes you need a few opinions. And I repeat a FEW opinions. Ideally, three perspectives. Because getting opinions is a dicey issue because it is so easy to get the wrong one, its important that these opinions are not from just anyone. 4.) Make a decision that you know you'll be at peace with- A few years ago, I was speaking with an old friend who said something I could never forget. He said, "only right decisions give peace". Ever since, I started applying that to my life, it has made difficult decisions easier to make. 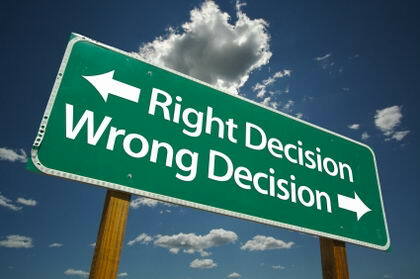 If you make a decision that will give you sleepless nights, it is the wrong one. I was talking to one of my friends a couple of days ago and she just went through a break-up. She told me the moment she broke off the relationship, her shoulders felt lighter. Now thats quintessential peace. 5.) Get acquainted with the consequences of your decision- For every action, there's a consequence. You have to be ready to accept and handle the consequence of any decision you make. This actually brings peace because the moment you become friends with your decision, you feel ready to take the next step: The decision. There's no doubt, every decision is a risk of some sort. But don't forget, without risks, your life will be on standstill. My brother recently left the company he had worked with for 6 years. It was a big decision because granted, the new job paid more, leaving a secure job in this economy is a big risk. He struggled with the idea for a bit, weighed the pros and cons, and talked to a few trusted people about it. However, the day he made his decision he told me he decided to leave because he had realized to move forward in his career, he had to take risks and "own" the consequences of the risks. There you have it...5 tips to making difficult decisions easier. 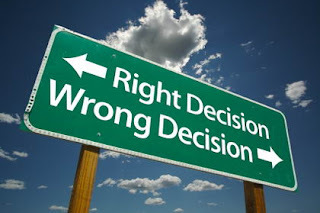 No matter what you do, please do not be plagued with indecision...indecision breeds staleness and a stale life is wasted. If you have any other tips that have helped you make difficult decisions, please do share. I assume, I have many more decisions I'm yet to make in life and I'm excited to learn from my readers.